In case you haven’t heard, bamboo cutting boards are the next big kitchen accessory. Bamboo is a sustainable, fast-growing resource, and it is tougher than many woods on the market today. The grass (technically bamboo isn’t a wood) is also gentler with your knives and a real beauty on the counter top. 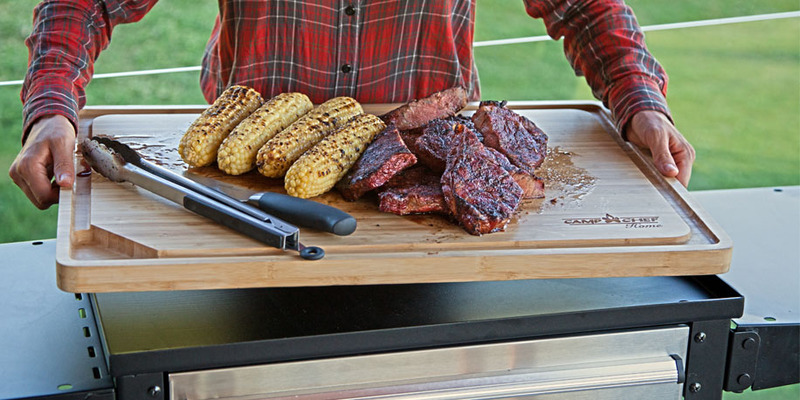 Basically, it’s everything you’d want in a cutting board. At Camp Chef, we know a good kitchen tool when we see one. So we brought you the cutting board of all cutting boards—26 inches of solid bamboo. 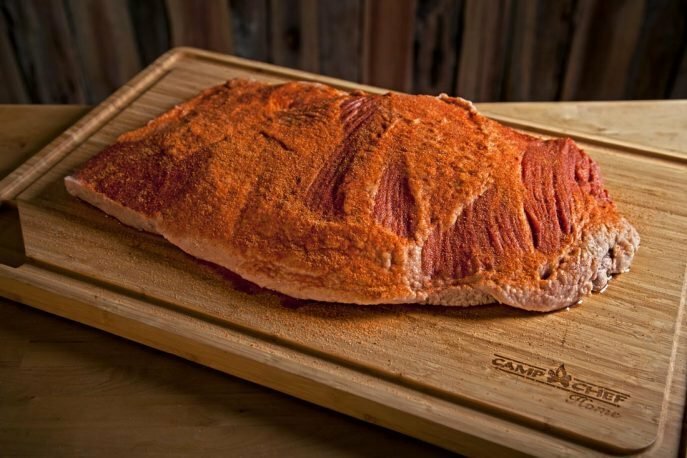 You can fit steaks, whole chicken, brisket, roast, and more on this board without breaking a sweat. It’s also perfect for transporting your prep station from the kitchen to the patio in one trip. Check it out; go ahead, we’ll wait. Now that we’ve taken care of that, you need to know how to care for your new bamboo cutting board, right? The bad news is that bamboo cutting boards need the same kind of TLC that traditional wooden cutting boards do; the good news is that they’ll last a lot longer than any other board if you treat them right. 1. Wash and dry the cutting board immediately after each use. Don’t ever let your bamboo board soak in the sink or go into the dishwasher. Long exposure to water (and heat in the dishwasher) will warp or crack your board faster than you can say “Oops.” Instead, wash your board with some warm water and soap, rinse it, and dry it completely with a towel. Stand the board vertically on its side to dry, or lean it in an open-air dish rack. 2. To season, put about ½ cup of food-grade mineral oil in a saucepan, and warm it on the stove. You don’t need it hot—just warm enough to get into the pores of the bamboo. Pour the oil onto your dry cutting board and rub in a circular motion (like Karate Kid) with a clean cloth. Make sure you oil all sides of your cutting board; the mineral oil acts as a hydrator and a barrier for the bamboo, giving it some necessary moisture while keeping excess water out. 3. Use lemon juice or baking soda if your board develops any weird stains or smells. Sprinkle some juice or powder over the spot, then scrub it with a damp, warm rag. Afterward, your board should smell fresh and look clean once more. •You will need to oil your board regularly to keep up the shine and water-proofing. About once a month is a good schedule to keep; however, if you’re a cooking enthusiast who’s breaking out your board a few times a day, you may want to up the frequency to every two weeks. •Bamboo needs a certain amount of moisture to keep from splitting and cracking. You don’t want to use a cleaning product that will dry out the board like bleach or rubbing alcohol. •Never use cooking oils to season your board, as these will turn rancid.